Installation cost is high but operating cost is lowest. No code word is required. Code words are required by the ground station. Full power efficiency is possible. Both guard times and bands are required. 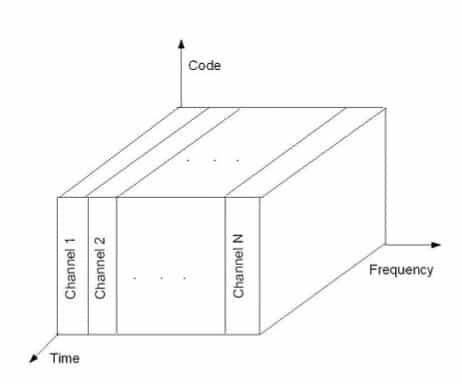 Adjacent frequency bands interference generated because of nonlinearity of satellite transponder amplifier. Interference between the user of adjacent time slots is generated because of incorrect synchronization. Performance is affected because of adjacent time and frequency slots. But effect is less due to frequency hopping.